What dental implants and appliances can you make with 3D printing? 3D printing is increasingly used by dentists, orthodontists and dental labs worldwide as a complement of existing dental fabrication tools. The dental field is embracing the trend of digital dentistry: 3D printers and 3D scanners designed for dental applications can now help dentists offer a better and more personalized service to patients while offering substantial cost reductions and simplifying complex dental appliances production workflows. Common dental use cases include the creation of custom 3D printed wax patterns (wax-ups) for casting, 3D printed night guards or surgical guides. 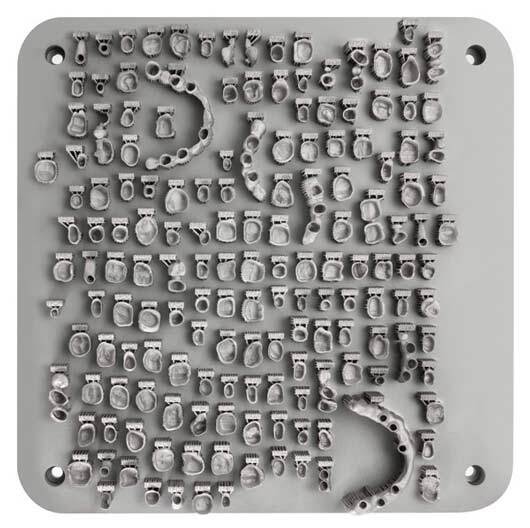 Metal additive manufacturing is also increasingly used for direct manufacturing of temporary dental crowns or metal 3D printed bridges and many types of dental implants using metal dental 3D printers. In 2015, the additive manufacturing market for the dental industry was worth $780 millions per year. Smart Tech Publishing (a leading provider of market reports and industry analysis in the 3D printing and additive manufacturing sector) estimates that the 3D printing market in the dental field will reach more than $3.1 billion by 2020. The digital dentistry market is also growing fast: EnvisionTEC, one of the 3D printer manufacturers fighting for a piece of this growing market reported a 75% sales growth in 2016 compared to 2015 and shows no signs of slowing down (source). In this overview of the digital dentistry market, we will present the benefits of 3D printing and 3D scanning for dental applications, cover the main uses of 3D technologies in dentistry and present a selection of the best dental 3D printers and best dental 3D scanners. 3D printing can save time and money for dentists, orthodontists and dental labs specialized in the production of dental implants and appliances (crowns, bridges, night guards etc). Using 3D scanning, dentists and orthodontists can easily capture their patients denture in 3D with a high accuracy. Using 3D printing, they can then build custom moulds for dental casting or directly 3D print specific dental appliances or implants. 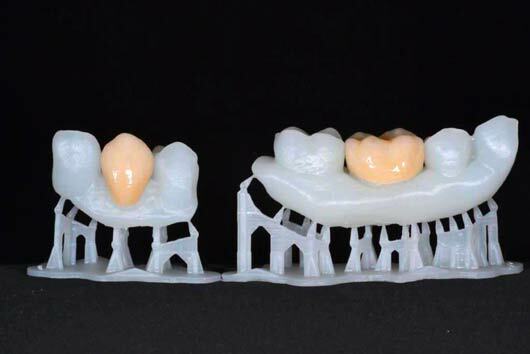 In a nutshell, dental labs incorporate 3D scanning and additive manufacturing in their workflows to produce dental crowns, implants, bridges and other dental appliances more efficiently. Dental 3D scanners are designed to capture in three dimensions the patient’s denture, either using an intraoral 3D scanner or by 3D scanning a conventional dental impression using a dental 3D scanner. The 3D mesh of the denture obtained is then modified by a technician using a specific dental 3D software: a model crown for example can be added and customized (shape, orientation, etc) to perfectly fit the patient’s denture. Once the model of the dental restoration is finalized, it is sent for 3D printing (source). 3D printing for investment casting: in this case, a 3D printed version of the desired dental appliance (crown, bridge, teeth restoration…) is used to build a custom mould, following the lost-wax technique. The final product is then built by casting liquid material (ceramic, metal…) in the mould. Direct manufacturing of dental appliances and restorations: the final product is coming out of the dental 3D printer. For example, a metal dental crown can be 3D printed using a dental metal 3D printer. Direct manufacturing of surgical guides and dental tools: the final product is coming out of the 3D printer. For example surgical guides and retainers can be 3D printed with some specific resins. How to use 3D printing for dental casting? 3D printing is used by dental labs to improve the lost-wax technique: a mould is built around a 3D printed version of the desired object (a dental crown for example) in a special casting resin or wax. The mould is then heated in order to melt the wax object (”lost wax”) and obtain an empty space of the exact shape of the desired dental appliance. The final product is then made by casting a liquid material in the mould. In short, dental 3D printers are used for creating a 3D printed version in casting resin of the desired dental appliance, in order to build a custom mould which will then be used to cast the final product. The typical turnaround production time to make a bridge or a denture using conventional methods is around 2-3 weeks. With 3D printing, dentists can 3D scan the patient’s denture, design a custom restoration or dental appliance using a dental 3D software before sending it for production on a dental 3D printer, driving down the production cycle to 2-3 days (source). Get a 3D model of the patient’s mouth: the dentist can use an intraoral 3D scanner or a desktop 3D scanner to digitize a regular dental impression. The result is a highly accurate 3D mesh of the patient’s mouth and teeth, visible on a computer using a specific 3D software. Design the custom-fit dental appliance: using a dental 3D software, a lab technician can add a virtual dental crown to the 3D version of the patient’s denture and make sure it fits perfectly by adjusting its size, shape and position. Once the 3D model of the dental appliance to be created is ready, it is sent for 3D printing. 3D printing the dental model: the dental model is 3D printed on a SLA or DLP 3D printer using a specific investment casting resin as printing material. When the 3D print is complete, the model is washed with alcohol, dried and cured under UV lamps. 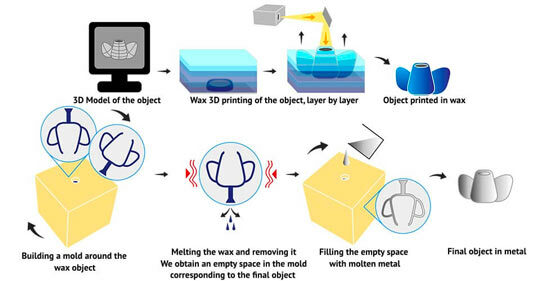 Investment casting: now that the dental model is 3D printed, a light wax layer is applied to smooth out the microscopic roughness of the 3D printing and give it a shiny finish. 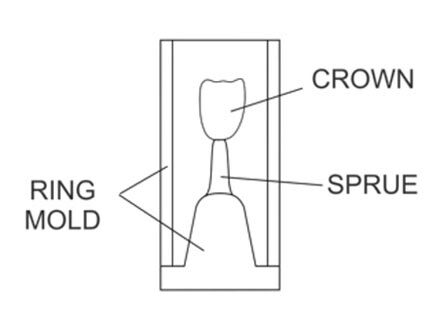 The 3D printed dental crown is then attached to a stem and put into a mould. A technician pours a special investment material in the mould, around the 3D printed crown put in the oven. The heat of the oven vaporizes the wax and leaves an empty space of the exact shape of the dental crown inside the investment. Metal is then poured in this void space and left to cool down. Finally the investment is broken during a process called divesting to collect the casting. The result is a metal structure which will form the substructure of the final crown. Adding the porcelain layer: the metal cast is first polished and covered with a primer, acting as an adhesive layer between the metal substructure and the top porcelain layer. To create the porcelain top layer, an anatomical top is first 3D printed in castable resin. Liquid investment is then poured around this 3D printed resin cast and put in the oven once it solidified. The casting resin melts out and ceramic is shot into the mold to fill the empty space and create the ceramic layer of the crown. 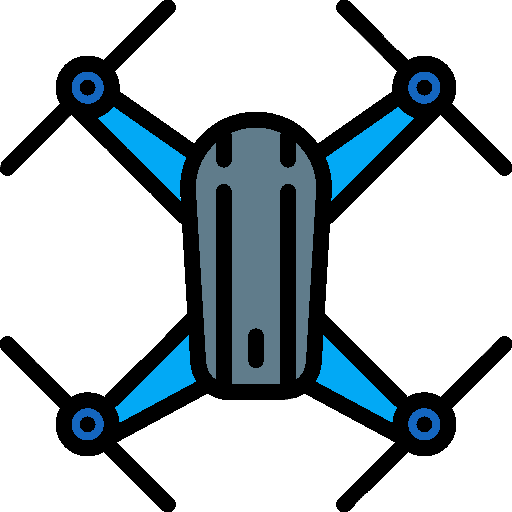 After cooling, the metal substructure is fused with the ceramic coating. Finishing the prosthetic: the 3D printed dental appliance is almost finished. To make it look more natural and aesthetically pleasing, it is painted and glazed before being implanted in the patient’s mouth. (credit: Autodesk Ember 3D Printer). 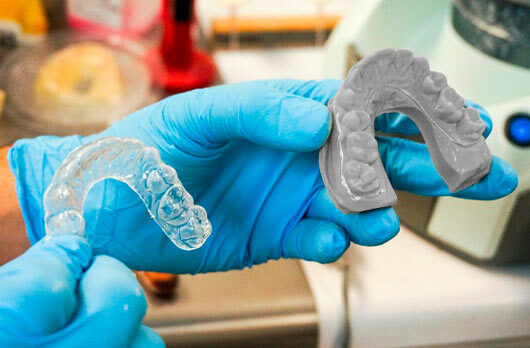 Using 3D printing with specific resin materials, it is possible to 3D print directly dental appliances such as aligners, night guards or splints from a patient 3D scan. In this case, the 3D printed dental appliance goes directly in the patient’s mouth, so the resin must be biocompatible. Dental 3D printer manufacturers usually offer specific dental resin, to 3D print safe dental appliances. The obtained 3D printed dental implants are perfectly adjusted to the patient’s mouth, making them more comfortable and efficient. 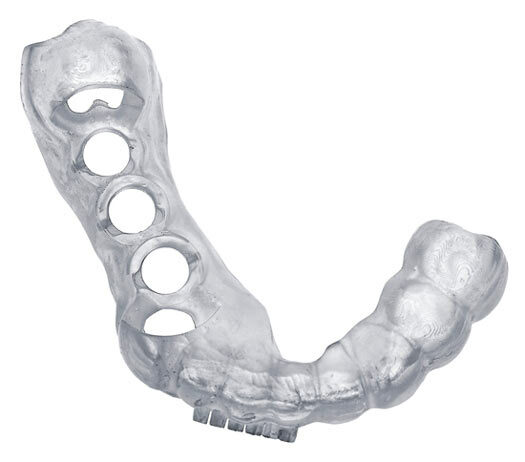 3D printed clear aligners, night guards, splints or retainers can be produced at a lower cost than the ones created using the traditional fabrication techniques (source). Dental veneers can be 3D printed with dental 3D printing resins, following a 3D design based on a 3D scan of the patient’s mouth. 3D printed veneers perfectly fit the patient’s denture, thanks to the very high accuracy of 3D scanning and resin dental 3D printers using SLA or DLP print technologies. 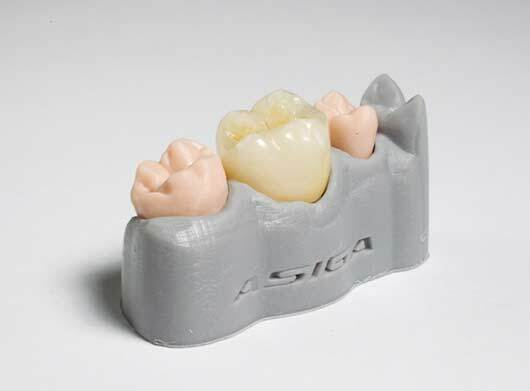 Provisional dental crowns (or copings), bridges and one-day prosthetics can also be directly 3D printed. 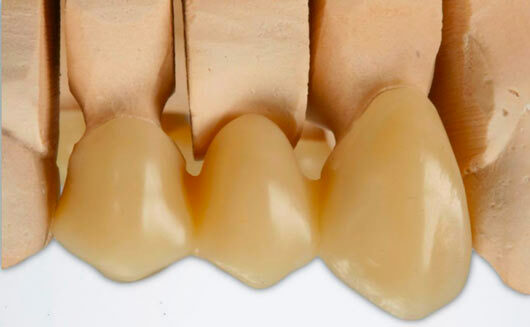 In the case of emergency treatments, it is possible to quickly 3D print realistic and affordable provisional copings or temporary crowns using a specific resin. Please note that it isn’t yet possible to directly 3D print a ceramic coping or an entire ceramic or porcelain implant such as a crown. One of the biggest challenges in implantology is the pre-surgery determination of the optimum location, angulation and depth to place an implant. Dental surgical guides are designed to help dentists surgeon make those decisions. Creating a dental surgical drill guide using a traditional fabrication method usually costs over $250 and takes a few days. Using 3D printing to create 3D printed surgical guides can bring those numbers down to under $50 and only a few hours. For complicated cases, surgeons dentists can 3D print several different surgical guides models so they can have options during the surgery. There are several types of 3D printed surgical guides: non-limiting, partially restricting or completely limiting surgical guides. To prepare the 3D printed drill guide for surgery, the dentist simply has to cure the 3D print and sterilize it in an autoclave (source). Going to the dentist can be a traumatic experience for anxious patients and practicing even basic interventions on such patients can be challenging for the dentist. 3D printed dentures models and wax-ups can be used to explain the procedure to the patients and reassure them. The 3D printed models of the patient’s mouth can also help the dentists to make treatment decisions or be used in medical education by students to learn teeth anatomy and practice their technique. SLA and DLP 3D printers offer the high print quality required for dental 3D printing: resin 3D printers are very accurate, some of them even reach a 20 microns resolution. The high print resolution is particularly important for 3D printed crowns or dental restorations which need to fit perfectly in the patient’s denture. The surface of 3D printed objects coming out of SLA or DLP 3D printers is also much smoother than with FFF 3D printers, where the material layers are often visible. Resin 3D printers can use special casting resins or casting waxes, perfect to build 3D printed moulds for investment casting of dental appliances: the casting resin has the property to melt at a specific temperature, thus allowing to efficiently build custom dental moulds based on 3D printed wax patterns. 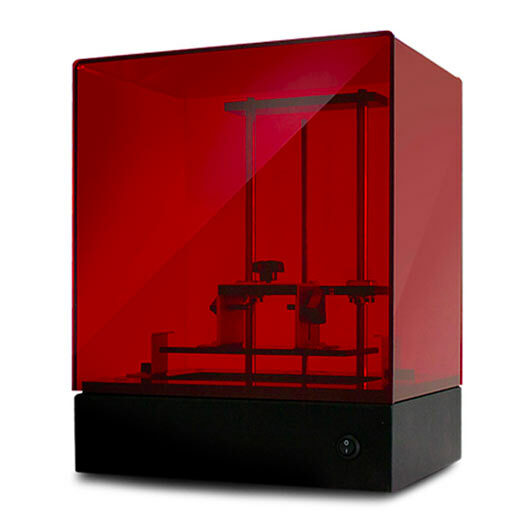 Among the most famous brands of dental 3D printers using resin as material are Formlabs, Asiga or DWS Systems. But the dental additive manufacturing landscape is evolving and numerous newcomers are bringing attractive value propositions for dental labs worldwide. You can use our 3D printer comparison engine to browse all existing resin 3D printers, or go directly to our best resin 3D printers ranking. That said, not all SLA or DLP 3D printers are designed for dental applications and use in a professional environment. Please contact us to get a free consultation and recommendation on the best dental 3D printers based on your specific needs and budget. 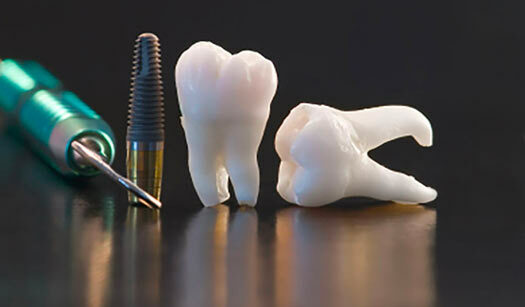 Dental appliances are high-value objects: despite the fact that they are tiny, most dental implants are quite expensive and value dense products. So even if metal 3D printers are expensive, the return on investment (ROI) for a dental lab or practice can be very interesting. A growing number of dental labs chose to acquire metal dental 3D printers for a more efficient workflow and higher control on the production, done in-house. Metal 3D printers shorten the production cycle: by using metal 3D printing for direct manufacturing of dental appliances can help reduce the length and complexity of the production cycle. Metal 3D printers can create high quality dental prints at a lower cost than conventional production methods: DMLS (Direct Metal Laser Sintering), the most common metal 3D printing technology used in dental additive manufacturing, is perfect to 3D print high quality metal dental appliances without compromising on quality. The price of metal 3D printers is usually quite expensive, from a few tens to several hundreds of thousands dollars, but the initial investment can be quickly offset with high volume of production, making metal additive manufacturing a hot technology in digital dentistry and a must for dental appliances production centers. Several industrial-grade metal 3D printer manufacturers have developed products for the dental space: from 3D Systems to Renishaw, Realizer, SLM Solutions, EOS, Concept Laser and more. You can use our 3D printers comparison engine to search and compare metal 3D printers. Please contact us if you would like more information and quotes. Direct 3D printing of ceramic or porcelain dental implants is not yet a reality but could be the next frontier for digital dentistry. As of early 2017, the quality of 3D printed dental appliances using ceramics or zirconia powders is not good enough for professional use. Managing to 3D print ceramic or zirconia powders to make 3D printed implants, crowns or bridges would make the manufacturing process shorter and the production costs drop. Besides, ceramic has a key advantage versus metal or other materials: it makes for aesthetically beautiful dental appliances, which is very important for many patients. We might soon see the emergence of ceramics 3D printers in dental labs, for direct printing of final dental appliances, potentially making investment casting and other labour intensive traditional fabrication techniques obsolete. The department of ceramics and refractory materials at Aachen University in Germany conducted in 2017 a study on 3D printing of zirconia powders. As their predecessors concluded in previous studies that 3D printing zirconia powder wasn’t a good solution for 3D printing dental appliances, they focused on the use of another technique : direct inkjet printing. Their conclusion: “The novel technique (direct inkjet printing) has great potential to produce, cost-efficiently, all-ceramic dental restorations at high accuracy and with a minimum of materials consumption”. Dental 3D printers can start at a few thousands dollars for resin desktop 3D printers (SLA or DLP), up to tens of thousands of dollars for metal 3D printers designed for direct production. Some manufacturers only make dental 3D printers while other have developed specific dental product lines. Print quality: the higher the resolution offered by the 3D printer the better, and often the more expensive the 3D printer. 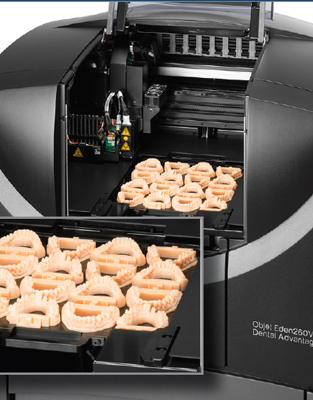 Build volume: more expensive dental 3D printers usually offer a larger print volume, thus allowing dental labs to optimize their production flow and increase their ROI by 3D printing a large number of dental appliances one the same build platform. Dental 3D software: a special software is required to create custom dental implants based on a 3D scan of the patient’s mouth. The dental 3D software is an important component of the digital dentistry value chain and can be expensive. Reliability and repeatability: perhaps the most important factor when it comes to using 3D printing for dental appliances production. Professional dental 3D printers must be able to consistently deliver high quality prints, especially in a dental lab environment where quality controls are frequent and a high production output is expected. Therefore, some dental 3D printers are more expensive than other because they offer this reliability. 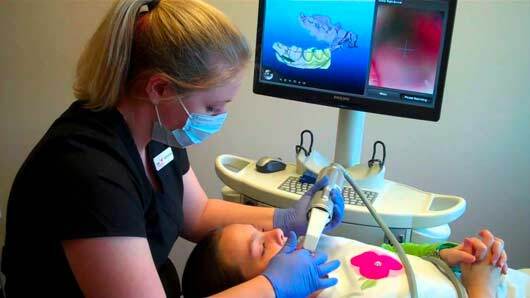 These dental 3D scanners allow dentists to easily capture a 3D image of the patient’s denture, in color. Intraoral 3D scanners look like typical dental practice devices and are inserted by the dentist in the patient’s mouth to digitize it and obtain a highly accurate color 3D model. This 3D model can then be modified using a special dental 3D software, to add a standard 3D model of a crown and adjust its shape and size to make it fit the patient’s denture. Desktop 3D scanners designed for professional use in dental labs are based on the structured light technology (white light or blue light) and are fully enclosed to create an optimal scanning chamber where the light exposure is fully controlled. Dental 3D scanners are used for 3D scanning conventional dental impressions and obtain a highly accurate 3D mesh of the patient’s mouth. They are also called impression scanners. 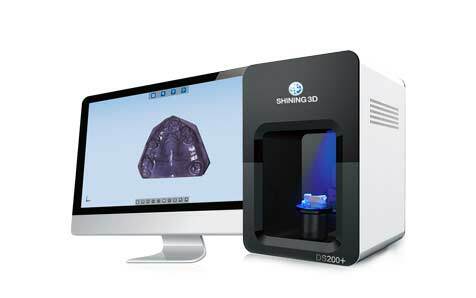 As it’s the case for dental 3D printers, a key spec of a dental 3D scanner is its maximum scan resolution. Indeed, in order to design a dental appliance perfectly matching the patient’s unique denture, it is paramount to have a very detailed 3D model of the patient’s teeth. The 3D capture of a classic dental impression with a dental 3D scanner is a great way to obtain a 3D model ready to be modified in a 3D software, all in a short amount of time. They can be equipped with an automatic turntable on which the dental impression is placed. During the 3D scanning phase, the turntable rotates and the object is captured in three dimensions from all angles. 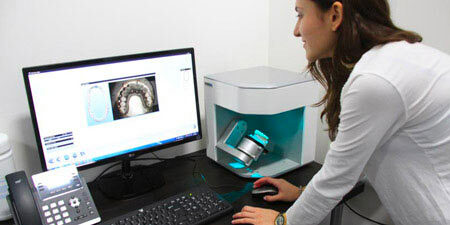 Several brands are specialized in dental 3D scanners and prices for such desktop 3D scanners start around $10k. Established dental scanners manufacturers such as 3shape now have to compete with new brands entering the digital dentistry market with aggressive pricing and high price to performance ratio.$ You can browse and compare desktop 3D scanners using our comparison engine. If you are looking for a dental 3D scanner price or would like a recommendation on the available models, simply contact us! 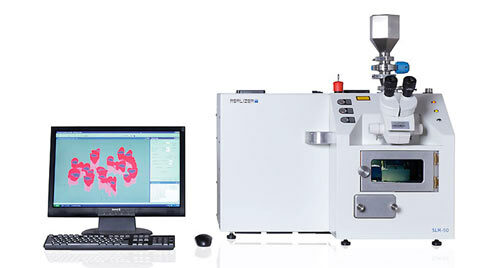 Digital manufacturing is a very cost-efficient approach for dental labs. For instance, several dental appliances can be 3D printed at the same time on a 3D printer’s build platform. This allows to save time and money in the production process. The overall streamlining of the production processes also enable dental labs to drive their costs down significantly. Moving to digital dentistry using 3D scanning and 3D printing greatly reduces the amount of manual work and labor intensive tasks in dental manufacturing processes. 3D file sharing and storage also simplify the production workflow. Perhaps one of the most important thing: 3D scanning and 3D printing allow to improve greatly the efficiency of manufacturing processes in dental labs without compromising on the quality of the end products. Be that resin 3D printers (SLA or DLP) used for casting or metal 3D printers in direct manufacturing of functional dental appliances, the high quality of 3D printed parts matches or exceeds the standards of conventional production methods in the dental industry. 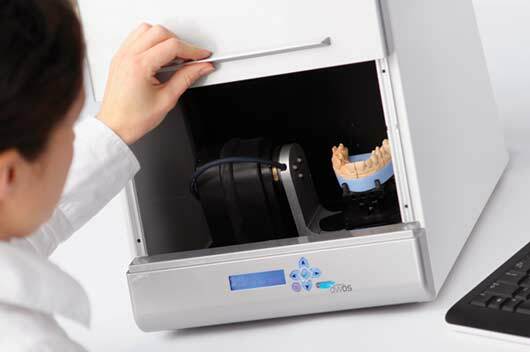 The combined use of 3D scanning and 3D printing by dentists allows to produce custom dental appliances in short amounts of time, thus increasing treatment efficiency and patient comfort. Intra-oral 3D scanning is a non-invasive imaging technology which allows dental practitioners to easily obtain a 3D model of their patient’s denture.